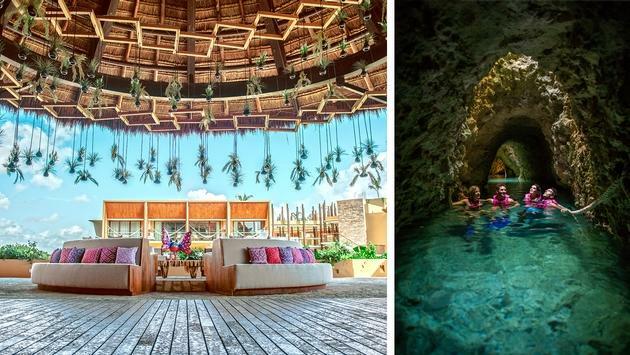 Redefining the traditional all-inclusive, Hotel Xcaret México is proud to present its innovative ALL-FUN INCLUSIVE® concept. A tribute to Mexico that offers you much more than everything you need, combining the comfort and luxury of a unique resort with an eco- integrative architecture, and full access to Xcaret parks, Xel-Ha, Xplor, Xplor Fuego, Xavage, Xoximilco, Xenses, and the Xenotes and Xichen tours. In addition to food and beverages, transportation between parks and airport shuttle. XOXIMILCO CANCUN: Everyone's invited to the Fiesta!